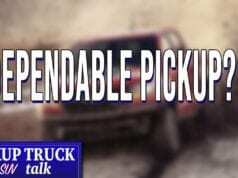 If you are looking for the most dependable pickup, then we have the data for you. We have compiled the J.D. 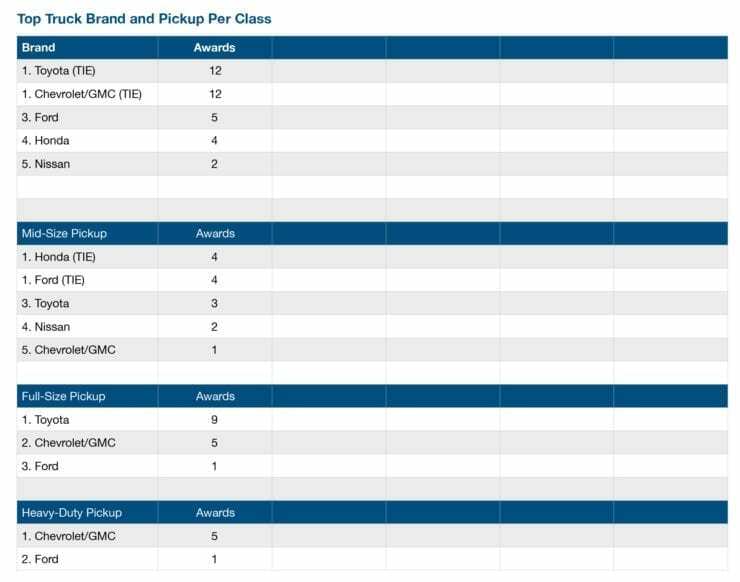 Power Dependability survey winners into a spreadsheet showing the last 15 years of winners as well as the top truck brand and pickup model per class. The results WILL surprise you and, if you are a loyal fan, probably make you upset. 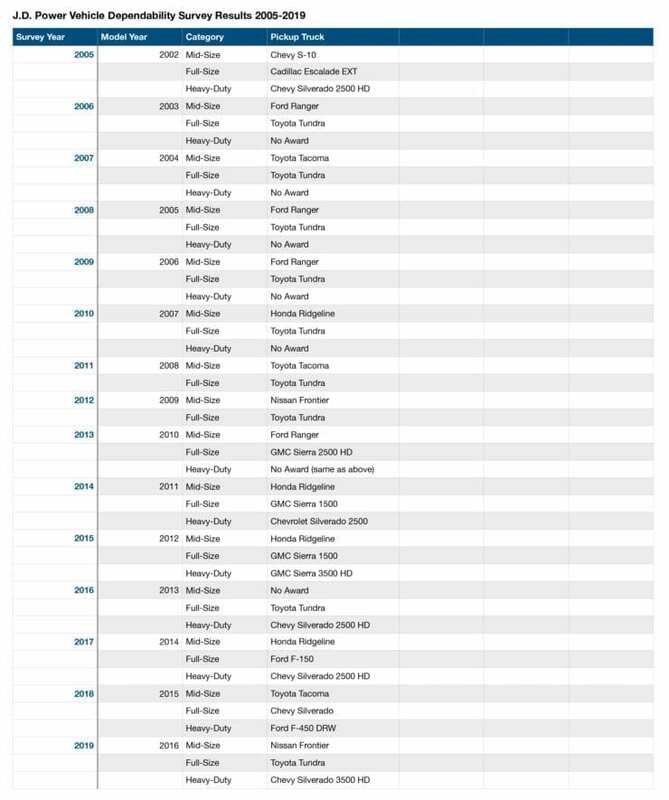 We looked at the survey results starting in 2005-2019 to tabulate who was considered the most durable. Then, we added up the totals to find a winner in each category. You may still be wondering about the survey results. Here is more about the survey from J.D. Power: The J.D. Power U.S. 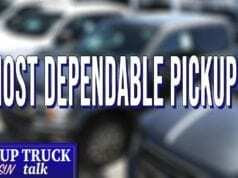 Vehicle Dependability StudySM (VDS) focuses on problems experienced by original owners of 3-year-old vehicles. 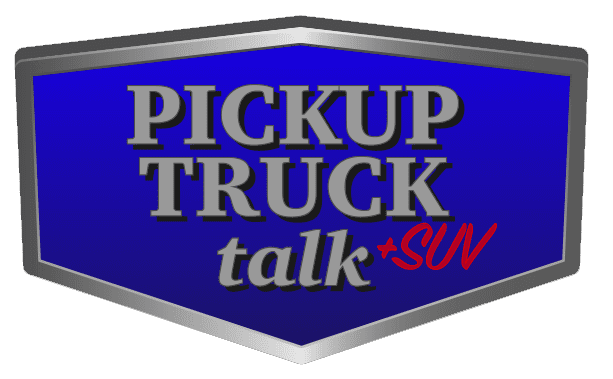 Study findings are used extensively by manufacturers worldwide to help them design and build better vehicles—which typically retain higher resale value—and by consumers to help them make more informed choices for both new and used vehicles. While any survey isn’t exactly scientific and they should be taken with a grain of salt as it were, it is important to use them as part of an overall buying decision. 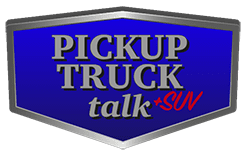 They shouldn’t be the end all be all when it comes to purchasing a new pickup and results do vary on new pickups. In other words, lemon cars can still happen. 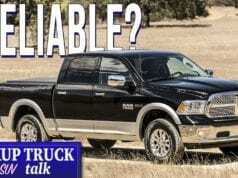 Are Ram 1500 Pickups Reliable?